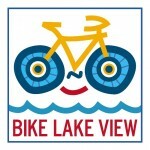 Join the Lake View Citizens Council (LVCC) for a leisurely bike ride around Lake View. Get to know your neighbors while exploring our bicycle-friendly neighborhood. Helmets are required and be sure to bring bike lights and a lock so you can join us for post-ride social time. Note: Due to the Mother’s Day holiday, we’re switching from our regular Sunday morning schedule to a special weekday evening for the month of May. Bike Lake View is a free hour-long neighborhood social ride geared toward all of our neighbors – bring your kids and your grandparents! Local elected officials and neighborhood police are also invited to join us every month. For more information, contact Lee Crandell at crandell@gmail.com. This entry was posted in Community News and tagged Lakeview on May 13, 2013 by elvn_updates.